Please note: WOSS suspension trainers are currently unavailable for purchase (from anywhere). The makers of the WOSS suspension trainers, WOSS Enterprises, recently lost a patent and trademark infringement case against Fitness Anywhere LLC, the makers of TRX Suspension Trainers. WOSS Enterprises were forced to pay Fitness Anywhere LLC $6.8m in damages. WOSS’ website says they’ll be back soon, but considering the level of damages, we doubt that. Today we’re looking at the range of Woss Suspension Trainers, which are among the best suspension trainers around. 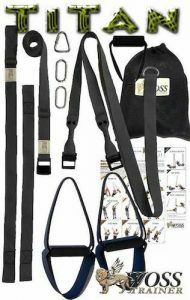 Woss have a pretty extensive range – from the advanced ‘Titan Pro’ to the basic ‘Military Strap’. No matter which one you’re looking at for your home workout space, this review has you covered. 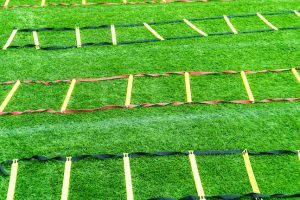 If you’re looking for equipment that can add a real kick to your workout and help you develop significant functional strength and power through bodyweight exercises, then read on. 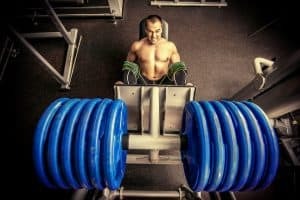 However, if your health and fitness goals are to build muscle quickly and develop your physique (e.g., for bodybuilding) then you may want to start with a good set of dumbbells and barbells, and / or a good home gym. Almost all suspension training systems offer an exceptional range of exercises and the Woss Suspension Trainers are no different – you can use them to hit just about every muscle and muscle group in your body. All of Woss’ Suspension Trainers will allow you to do a superior full-body workout. The Woss Titan Pro , with its extra anchors allows you to attach it to pretty much anything, anywhere. If you’re planning on taking your suspension trainer to all kinds of weird and wonderful places, then the Titan is for you. 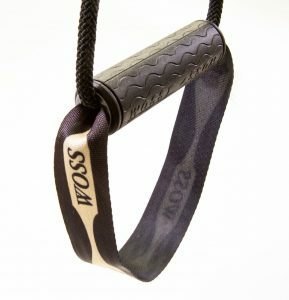 In comparison, the more basic and less expensive WOSS Military Strap has fewer attachment options, meaning there’s a limited number of places you can anchor it. 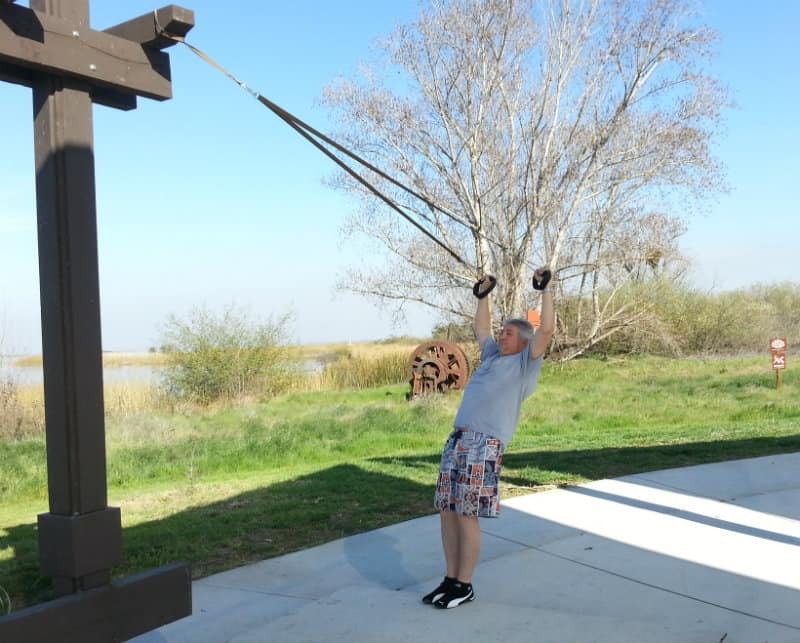 If you are just planning to use your suspension trainer at home or at the park, then you’ll be fine getting one of the basic trainers like the Military or the Attack . All Woss Suspension Trainers come with a full body quick start exercise sheet (below), so if you’re new to suspension trainers you’ll be able to get started straight away. However, this is the extent of the instructions you receive with the Woss trainers. Other systems have much more detailed instructional materials, such as DVDs and apps. That said, a quick YouTube search produces a heap of great free videos, such as this one for beginners and this one for advanced users, so its really not an issue at all. The Woss Suspension Trainers are made from good quality material, manufactured in the US, and you can tell. Depending on which trainer you get, the handles are rubber (Attack and Titan) or high density foam (e.g., Military, Elite and 3000 range). Both materials are great quality, however, the rubber ones are an absolute standout. They feel great in the hands and will last forever, even with heavy use. All the handles have soft foot loops as well. The straps are all great quality. They come in widths of either 1 inch for the more basic trainers, or 1.5 inch for the more advanced trainers. All of the 1.5 inch trainers, except for the WOSS XT, are military-grade webbing (the material the straps are made from). 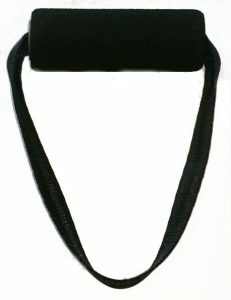 The 1 inch straps, however, are remarkably strong and will easily take weights in excess of 300 lb. In reality, the security of the WOSS Suspension Trainers will be determined by the strength of the thing you’re attaching them to rather than the hardware itself. So, if you’re anchored to something that can easily take your weight, you’ll be good to go. 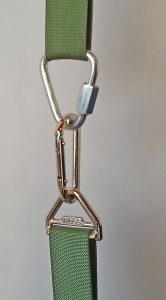 All of the carabiners, D-rings (certain trainers only), Delta Links and cam buckles are excellent quality and won’t cause the straps to fray or tear. 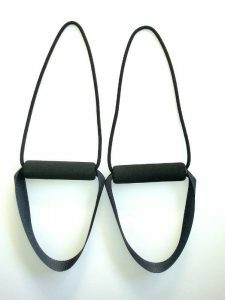 The cam buckles in particular are super simple to use when adjusting the length of the various straps, and they don’t slip while you’re actually working out (this is always a marker of a good suspension trainer). 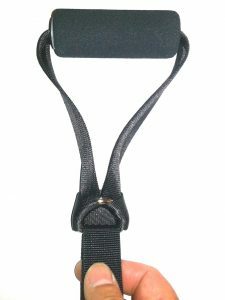 Finally, all of the WOSS trainers come with a padded door anchor, which are great if you want to use them at home or somewhere else indoors that doesn’t have something like an overhead beam or rafter to attach them to. Note: make sure you use the door anchor on a door that opens away from the room you’re doing your workout in. The WOSS trainers, like all good suspension systems, are really easy to use. So long as you have a solid object to attach them to, you’re unlikely to have any trouble getting a good workout from them. Something to keep in mind is that if you are not used to suspension trainers they will feel a bit unstable at first. This is because the centre strap moves through a Delta Link. In order to keep it stable, you have to engage your core, which is part of what makes them such effective workout equipment. 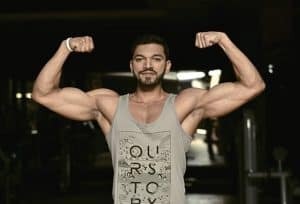 Just start with the beginner exercises on the included exercise sheet, or those in the recommended beginner video above, and you’ll get the hang of stabilizing your trainer in no time. However, if you you have a medical condition that causes balance issues, or simply prefer a fully stable trainer, then take a look at the WOSS 3000 Stable, which has 2 suspension straps that attach directly to the anchor. The WOSS Suspension Trainers are really quick and easy to setup and get started with. They shouldn’t take more than 5 – 10 minutes to put together and attach to an anchoring point. If you are using an advanced trainer like the Titan Pro with an unusual or uneven anchor point, you may have to play around with it a bit to get it just right for you, but that’s part and parcel of being able to use your trainer anywhere, anytime. Again, if you are going to use the door anchor, the most effective way is on a door that opens away from your workout space, not into it. 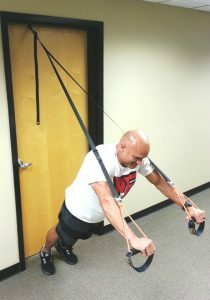 Finally, we’ve found that suspension trainers work best when they are anchored to either a high spot on a wall, or an overhead beam, pull-up bar, or rafter. If you don’t have somewhere like that already, but do have a brick / concrete wall or ceiling in your workout space, then consider this wall / ceiling mount – it’s a perfect anchoring point. We simply cannot fault the WOSS Suspension Trainers on value for money. They are among the best quality suspension trainers on the market, and the least expensive. That’s all there is to say about that. 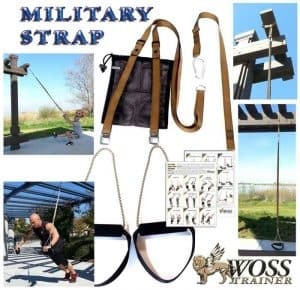 Overall, WOSS’ Suspension Trainers are excellent and we highly recommend them. They have a huge range of trainers, so to help you decide which one is right for you, check out our comparison table at the bottom of the post. Click any of the links to check the current price of that WOSS Suspension Trainer. As always, all the best with your home workouts. Remember – We can make the effort or we can make excuses, but we can’t make both!